The woman and mother behind the name! – For those of you who don’t know me, my name is Sarah Ellis-Martin. I am a registered Public Health Nutritionist who specialises in Maternal Obesity and Infant Nutrition, (bump, birth, baby & beyond), weight management, nutrition analysis, cooking skills sessions, recipe development, meal planning and facilitating training for those willing to learn. I graduated in 2010 from the University of Abertay and very quickly found myself in a job working within the communities of Dundee. During this time I worked with some incredibly, inspirational people, you know who you are!! In 2013 I was very privileged to win the prestigious Scottish Health Award in the category “Healthy Lifestyle Award” for my dedication and contributions to the work I carried out within the nutrition field and working alongside NHS Tayside. After 6 exceptional years working within this field I met the most amazing fella, who swept me off my feet and very quickly put a ring on it!! A short period of time later we got married and within months of being “MR & MRS” we shared the most amazing news that we were expecting a baby, a very surreal experience but a very exciting one at that!! 9 months later our gorgeous baby boy Jack was born, weighing in at a whopping 10lbs!!! – Almost ready for school and 2 weeks fully cooked our “little” bundle of joy had FINALLY made an appearance. Rewind 9 months, when the conversation had taken place as to careers, jobs etc. I was adamant that I would be back to work within the year of having “the baby” as this was what Jack was known as at this time. Fast forward 9 months and EVERYTHING was flipped completely on its head!! – Words can’t describe the feeling when you first meet your beautiful baby for the first time. Your whole world seems to go into slow mo and this precious little bundle is now a reality and that first time you set eyes on this vision, takes your breath away & without a seconds thought, you have fallen deeply in love and have experienced no other love as immediately as you have done in this singular moment you share with your newborn baby. From that day onwards, I had fallen so deeply in love with my bundle of joy and cherished every minute of every day I spent with Jack I love being a mum and couldn’t believe just how much life would change in EVERY way, all in that one moment of time – a total life changer………INCREDIBLE!!!!! In the blink of an eye, a year pasted by soooooooo quickly and it was time to make that important decision as to what I wanted to do in terms of getting back to work and that feeling was constantly on my shoulders from round the time Jack turned 6 months old. A feeling of never escaping that burden on your shoulders of what it was that you wanted or what you were going to do as it felt like the time was ticking away in the background, yet felt like it was always at the forefront of your thoughts at every minute of every day!! Im sure every mother can relate to what I am feeling at this moment, I just had never anticipated just HOW much I would be affected by how this gorgeous little person could make you feel!!! – PRICELESS!!!! There is a lot of pressure on women and a pressure on women to get back to work! Not because women want to get back to work, but often because its a necessity to get back to work as finances can be strained during this time, especially after Statutory Maternity Pay (SMP) dries up!!! As the time was fast approaching for me to make this incredibly daunting decision on whether I would go back to work or not, I found myself in some what a quandary!!! What was I going to do?? I LOVE being a mum and spending every minute of the day being with Jack and love capturing all of his milestones as he has met them and having the quality time that many mothers dont have the opportunity to as they have no choice but to go back to work. I am very passionate about my work and am also very ambitious, but how or what could I possibly do that would allow me to have the ultimate work/life balance to allow me to continue to be mummy to Jack, whilst also achieving and reaching my career goals as a driven, passionate individual wanting to facilitate change and promote healthy, nutrition and well-being and make this accessible to all, regardless of circumstances. And there it was, so obvious!!! Could I go this alone?? Take a massive leap into the unknown and invest in my own business??? Why not??? All it takes is a little faith!!…..RIGHT?? …..Ermmmmm perhaps more like lots of hard work, dedication, drive and a huge support network!!! I am lucky enough to have all of these things and feel privileged to be in such a position to follow my dreams. That being said, let the next chapter and story begin. 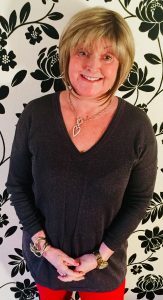 Follow my journey into the BIG world of business, my exciting new adventure and my experiences of being a full time mum to my gorgeous boy, Jack, whilst also juggling work/life balance, keeping house, being a devoted wife to Andrew (my rock), developing my company and yes thats right……another BABY on the way!!!! Introducing the latest Nutrition Consultancy SM NUTRITION and HEALTH, specialising in Maternal Obesity and Infant Nutrition (pre-conception, bump, birth, baby and beyond) born 2016……. Sarah Ellis-Martin, RNutr Public Health Nutritionist/ Managing Director. Nourish - committed to ensuring that customers are satisfied, confident and feel they receive a positive service which has nourished them with care. I have recently retired having worked for 30 years with the NHS. 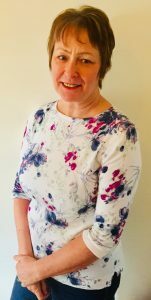 I began my career as a nurse then trained as a midwife and practiced in Tayside for almost 20 years. For the last 9 years I managed a Scottish Government funded programme to improve the nutrition of pregnant women and young children. This programme focussed on the importance of a healthy weight in pregnancy and the risks of obesity, vitamin supplementation for both women and children, breastfeeding, weaning and introducing healthy toddler diets. I worked in partnership with Sarah Martin to deliver on many of these priorities and am delighted to be part of the exciting new venture which is SM Nutrition. My career started in the NHS as a nurse specialising in general and psychiatric nursing for over 23 years. I decided to use my skillset in a different way and changed my career. My desire to work within the community and tackling issues relating to poverty and supporting people became a reality when I went to work with a charity in the East End of Dundee. I worked within the 2 local schools and worked alongside the community, building up trust, friendship and support. I used my previous experience and knowledge to empower families, support, encourage healthy lifestyle changes which helped to improve physical and mental well-being. As manager of the charity a major focus for me was to recruit, train and support many, many volunteers from the local community and out-with. This was a great success for the charity and lead to many volunteers gaining employment. I am now honoured to work with Shelter Scotland, to recruit, train and support volunteers in the North East Scotland. As a director I am privileged to continue working alongside Sarah and very much looking forward to expanding and recruiting volunteers within the company. Partnership work and strong working relationships are KEY when you are collaborating with other projects and community groups. SM Nutrition will be sharing some of the feedback our partners have about our service and why you should choose to come on board and use our service. The Young Mothers Provision at Baldragon Academy have worked with Sarah from SM Nutrition for some time now. Sarah has covered a huge range of topics with us in her usual knowledgeable and friendly way. She is also very reliable and flexible in her approach to working with us! We have covered various subjects such as breast-feeding, baby weaning, family cooking, nutrition etc. We have also used Sarah’s recipe book to make great family meals within our kitchen in the school. Sarah has also recently ran workshops relating to healthy eating in the wider school by running sessions with the ASDAN group. We look forward to working with Sarah in the future. SM Nutrition will be providing some client testimonials in due course. I have lost almost 2 stones in the 3 months I have been working with Sarah. In that time i’ve lost weight and I have got my confidence back. This has led me back to getting out walking up the hills again, something I really enjoy. If you put your mind to it you can do anything. In 4 weeks time I am doing the kilt walk, 26 miles which will be a challenge. I am LOVING my training and healthy eating. Carol and Anthea are both dedicated board members and are extremely passionate about the work we do here at SM Nutrition and Health. A huge thank you to the ladies for their continued support, expertise and dedication to their roles. I look forward to working alongside you both in this new venture.